Old Nokia devices has been long known to be sturdy and have long battery life. Almost as they were built to last for decades. But, since network technology is developing at the exponential rate, older devices just won’t be able to use newer network settings. 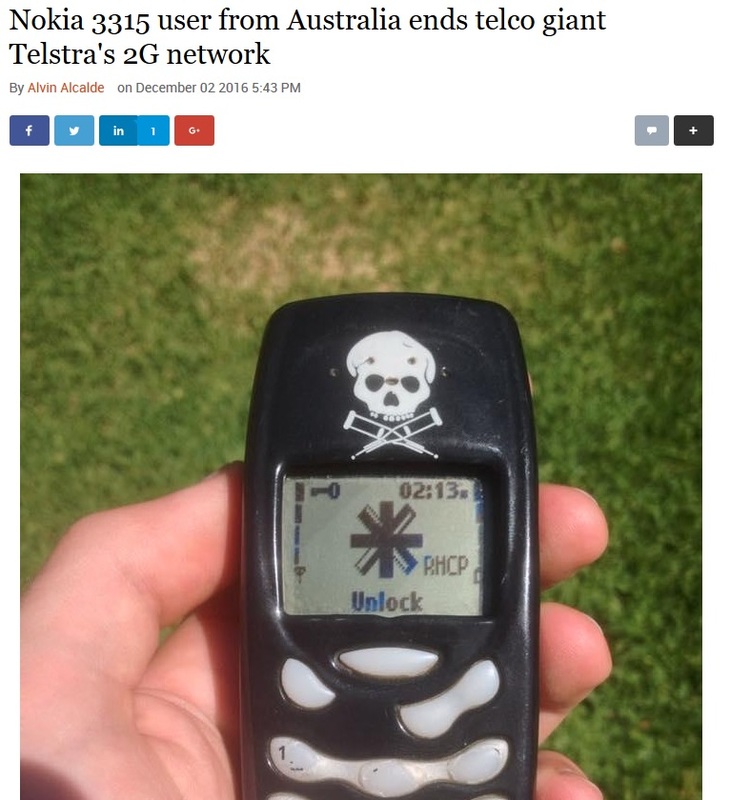 This is happening to Telstra’s user Gordon, who is denying to lose his longtime companion, Nokia 3315. Telstra is shutting down its 2G network and with that decision, it is pushing the owner of Nokia 3315 to change its mobile phone. He is of course relentless about that since that phone suites his needs, and the battery lasts up to 4 days now. It used to hold more than that before. But, time flies and Telstra called him to make the last call over 2G network and ceremonially shut it down. At least new Nokia phones are arriving soon enough so Gordon will be happy.